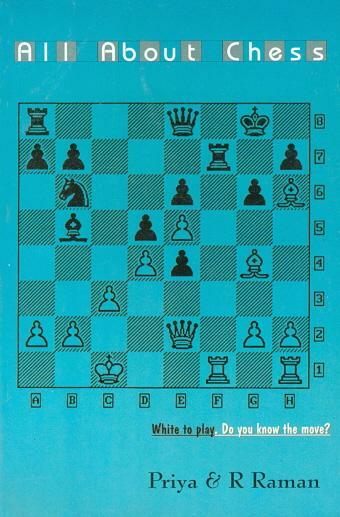 Chess by Paul Langfield was published by Macdonald Guidelines (London) in 1978. Page 16 (concerning the 1894 Lasker-Steinitz world championship match): ‘Lasker was the winner and went on to meet another challenger, the US champion Frank Marshall.’ The ‘went on to’ disguises the passage of no fewer than 13 years (1894-1907). Pages 53-54: An already laborious description of the difference between double check and discovered check is rendered incomprehensible by the transposition of the two illustrative diagrams. Pages 55-59: ‘The Endgame’. Unbelievable though it might seem, this chapter has virtually nothing about the endgame. Page 64: The illustration labelled Lasker is Tarrasch. Page 66: The same illustration makes another appearance, still with the caption ‘Emanuel Lasker’. It is still Siegbert Tarrasch. Pages 76 and 78: For the death of Alekhine in 1946 Langfield writes 1948 and places Estoril in Spain instead of Portugal. Page 82: ‘Hartson’ instead of Hartston appears three times in 15 lines. The closing section on ‘Great Chess Players’ is astonishing. There are biographical entries for B. Brinck-Claussen, Ricardo Calvo, Nicholaas Cortlever, Svend Hamann and Axel Ornstein, but nothing at all on Labourdonnais, Rubinstein or Steinitz ... In fairness it must be pointed out that the author does say, ‘The list is an arbitrary one, culled from the author’s own reading in the world of chess, so inevitably there will be ommissions [sic]. For these, humble apologies are offered’ (page 76). One wonders, though, what kind of author it can be whose own reading gives Axel Ornstein preference over Wilhelm Steinitz. The dust-jacket of Paul Langfield’s Chess Move by Move (New York, 1968) stated that he was born in Bristol in 1914 and was the author of The A-Z of Greenhouse Plants. 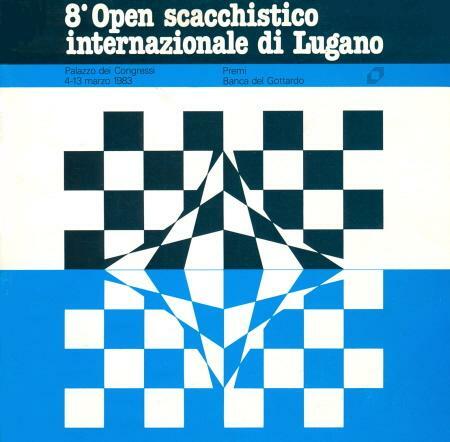 ‘You will be surprised to learn that in 1967 Fischer played in an Interzonal held in Sussex. I gleaned this from Idle Passion by Alexander Cockburn (page 178). Did they play the Bognor-Indian? On page 131 of the same work we are told of the “tournament circuit: run-down seaside towns in England, such as Bournemouth or Hastings”. It is made up of the kind of prose where it would appear that nouns, adjectives, verbs, etc. were all inserted separately by a different member of the committee, so it comes as a surprise to learn that Alexander Cockburn was single-handedly responsible for all parts of speech. In fact, it turns out to be one of those unlikeable books in which a writer slaps between two covers everything he thinks he knows about chess plus a little bit lifted from the local public library and then tries to give the whole a special, spurious slant – in this case presumably psychoanalysis. The trouble is that Mr Cockburn simply does not know enough about chess to write anything worthwhile; it is bad enough to wade through endless factual inaccuracies, but it is infuriating to find these mistakes then used as the basis of character analysis. On page 61 we read that Capablanca ‘rarely played outside tournaments and matches’. Quite untrue, naturally, since the Cuban was one of the most active players of simultaneous games. But too late. Deep-seated reasons for Capa’s ‘laziness’ are already under Mr Cockburn’s penetrating microscope. Thinking of Reuben Fine’s efforts in this field, we are impelled to ask why it is that writers on chess psychology always get their facts topsy-turvy. Now there’s a real question for the analyst. Since this magazine has never discussed the subject of book prices we assume that our correspondent will re-direct his remarks as appropriate. Only occasionally do books for novices give any indication of the existence of chess history, and it may therefore seem ungrateful to complain when, exceptionally, this does happen. However, a recent book from Oxford University Press deserves little mercy since it treats the history of the game with utter contempt. The main problem is that J.N. 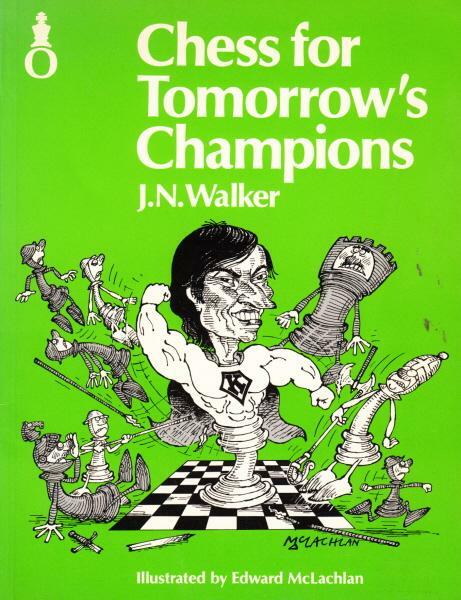 Walker, the author of Chess for Tomorrow’s Champions, knows nothing about yesterday’s, but insists on writing about them. The book that he produces, well-nigh impeccable in its treatment of how to play chess, is a total shambles on ‘peripheral’ matters. Quite apart from factual errors and a distasteful liking for unsubstantiated trivia, the book evinces an astonishing lack of any historical judgment. From Philidor to Karpov everything is bungled. Pages 56-57: Blackburne, it is claimed, was born in 1842 and died in 1923. Both dates are wrong (correct: 1841-1924). On page 57 we learn that he played regularly 5,000 games a year. An absurd figure. See pages 11-12 of P. Anderson Graham’s book, where this matter is discussed. 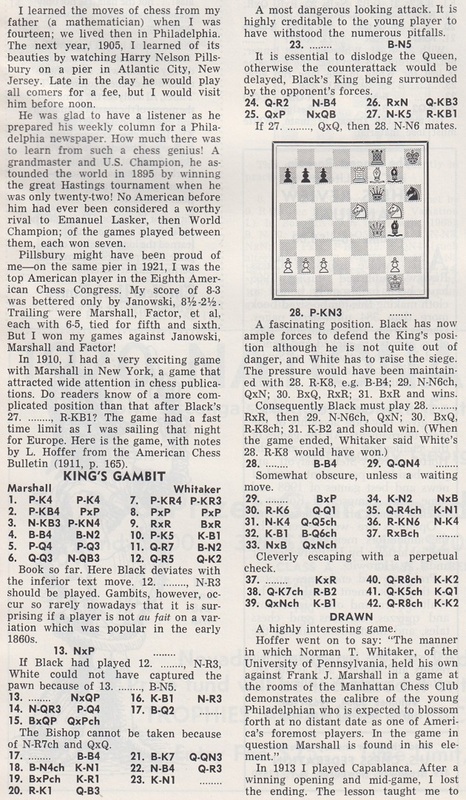 Page 59: The announced mate in 16 that Blackburne found: ‘Knowing that checkmate was inevitable Blackburne then worked the whole 16 moves out in advance before playing 1 Re4xe6+. To a grandmaster this wouldn’t be too difficult.’ Not too difficult! Page 94: the author invents some dialogue allegedly spoken by the young Capablanca. And, of course, he gets the date wrong (1893 would be correct). Page 100: J.N. Walker is the last surviving chessplayer still to believe that the Immortal Game was played in the 1851 London tournament. Page 125: ‘The Englishman, Howard Staunton, was another unloveable character; he avoided matches with his nearest rivals cheerfully telling the world how useless they all were in his newspaper column.’ This is a travesty of the truth. Has the author ever once read Staunton’s column in the Illustrated London News or read a single book on him? Page 126: all Zukertort’s ‘skills’ are trotted out without any hint that they may be totally false. Page 128: a new birth-date for FIDE: 1921. Page 130: On the 1974 Karpov-Korchnoi match: ‘Karpov duly won and Korchnoi fled from his homeland screaming blue murder.’ Another travesty. But what exactly does it mean? Page 134: Karpov’s match win in 1981 against Korchnoi was far from being ‘the most crushing victory ever in a world championship match’. Page 136: The scores of Capablanca and Alekhine’s past record are quite wrong. This is just a sample from a most slovenly book. The awkward question that J.N. Walker must answer to himself (it is probably too much to expect a public reply) is how he could possibly have been so unaware of his own limitations as to think himself capable of writing on chess history. We are also writing privately to our old colleagues of Oxford University Press to record our dismay at the publication of Chess for Tomorrow’s Champions. We provided the requested copy of the review but asked not to be mentioned in the new version. As noted on page 264 of Chess Explorations, the 1995 edition of Chess for Tomorrow’s Champions was better. 1 e4 e5 2 Bc4 Nc6 3 Qe2 Na5 4 Bxf7+ Kxf7 5 Qh5+ Ke6 6 Qf5+ Kd6 7 d4 Kc6 8 Qxe5 Kb6 9 Na3 a6 10 Qxa5+ Kxa5 11 Nc4+ Kb5 12 a4+ Kxc4 13 Ne2 Bb4+ 14 Kd1 Bc3 15 b3+ Kb4 16 Nxc3 Kxc3 17 Bb2+ Kb4 18 Ba3+ Kc3 and drawn by perpetual check. The game was published in the March 1957 BCM, page 59, the source being Leonard Barden’s The Field column of 17 January 1957. That must mean that Le Lionnais’ ‘1957’ was wrong. The BCM (D.J. Morgan’s Quotes and Queries column) gives ‘1956 Swiss Boys’ Championship’ and states that the players were R. Frauenfelder and M. Gschwend. D.J. Morgan’s view was that ‘two bright lads have pulled a fast one!’ He added that ‘the commentator on the game in the Zurich National Zeitung [sic] did not notice the identity of the old game’. The Frauenfelder v Gschwend game was published on pages 180-181 of the September 1956 Schweizerische Schachzeitung, where it is described as ‘the game of the tournament’ (Swiss Junior Championship). The annotations state that after move nine White recalled the nineteenth-century game from a column by Gygli a couple of years earlier. In May 1998 Richard Forster (Winterthur, Switzerland) verified the matter with R. Frauenfelder. The latter stated that several participants in the event, including Gschwend, were staying at his family’s home. Both he and Gschwend had lost badly the previous day and therefore decided to make an amusing and spectacular draw. In short, their game was pre-arranged. 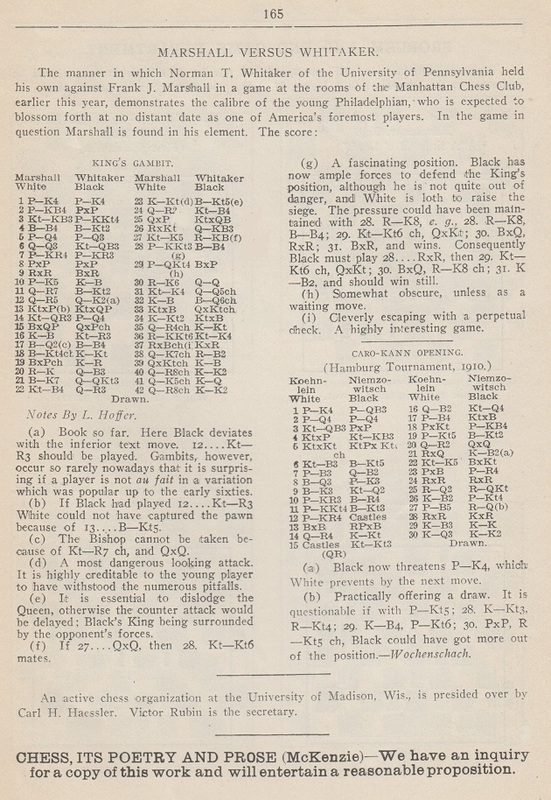 Walter Korn gave the game on page 237 of the August 1957 Chess Review, commenting, ‘... we share our British colleagues’ opinion that this draw is somewhat wilful’. Steinitz was referring to his book The Modern Chess Instructor; the reference to Hamppe is most interesting. Who can say more about this unsung hero? This paragraph is followed by two of Hamppe’s games, a draw v Hanstein and a win against Wolff. In 1852 Harrwitz visited Vienna and played seven games with Hamppe (Harrwitz 4 Hamppe 1, drawn 2). For the scores see Chess Review, 1853, page 258 et seq. Draw! by W. Heidenfeld (London, 1982) (pages 3-5). A minuscule photograph of Hamppe was given in C.N. 3478. Regarding the comment by Steinitz concerning Hamppe’s significance in the development of the game, see the feature article Steinitz, Lasker, Potter and ‘Modern Chess’. 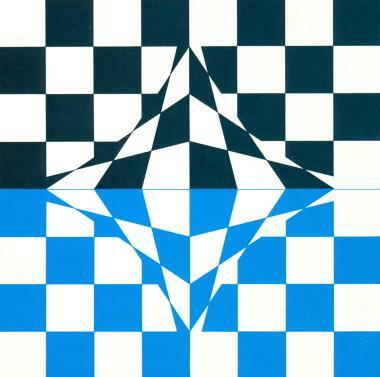 Deep, often original dissection of 47 outstanding games of the 1970s is offered by Jon Speelman in his recent book Best Chess Games 1970-80, published by George Allen & Unwin. The amount of work that Speelman puts into his analysis makes one realize the amount that other writers leave out. And yet Best Chess Games is a woefully painful read. Immersed in variations, Speelman has forgotten how to write. There is an abundance of primary school vocabulary – words like ‘lots’ and ‘nice’ – while innumerable exclamation marks follow the most common-place statements (so, what a nice lot of exclamation marks!). 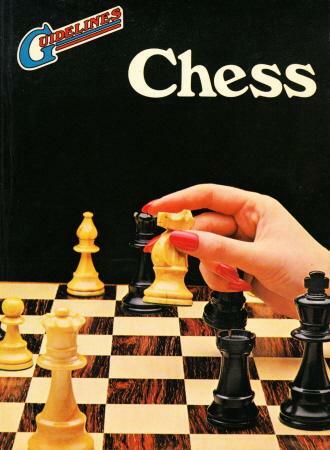 ‘This book is entitled The [sic] Best Chess Games 1970-80. Whilst I would certainly admit that such a selection is a pretty subjective matter, I nevertheless think that all the games here are very good. No doubt somebody else would have made a different selection. In any case I have tried to give a wide variety both of types of game and of players. Other sentences too mean nothing. There has probably never been a chess book whose annotations would have been improved by the use of modern symbols rather than prose, but this Speelman work comes close. Active grandmasters are not expected to write like the Brontës, but some basic proficiency at putting words together is essential. The saddest indictment of Speelman’s (lack of) writing style is that it seriously undermines the undoubted quality of the analysis itself. In picking Best Chess Games as his book of the year the Spectator’s Raymond Keene was evidently drawing a charitable veil over J.S.’s tin ear for language and concentrating on the book’s notable strengths. Since most other reviewers have done likewise, we have chosen, whilst acknowledging the excellence of the analysis, to highlight the fact that Best Chess Games offers the worst English mangling for many a long year. To have spent his entire career being handicapped by age must have been a burden indeed. Switzerland being a notoriously small country, we decided to nip along to the Lugano Open tournament. By train it turned out to be a six-hour nip, but the journey was well worth it. The eventual winner, Seirawan, impressed by his cool approach, quite apart from the fact that he was one of the few masters whose clothes did not appear to have been put on with a hay-fork. Gheorghiu still has a total aversion to sitting down; he has the air of a Mediterranean barber who has decided there must be more to life than haircuts. Hort squares up to the chess board in the manner of a wicket-keeper, often seeming to rest his chin on d1 (especially if he is White...). One noted too, without being able to conjure up a satisfying psychological or sociological explanation, that pipe and cigar smokers are to be found only amongst the lower ranks, in the secondary tournament. With the masters it is cigarettes or nothing. Spectators were generally few in number – almost everyone was playing – but amongst those jostling for position behind the railings were a goodly number of dogs and babies (to the extent that either has the habit of jostling). The whole congress was played out in a relaxed, liberal atmosphere. Of course, it is generally the little things that remain in the mind after such an event. Lugano must be one of the most beautiful places in Europe; the tournament was tenaciously fought out, making it an irresistible combination for the casual visitor. On 23 March 1983 Antenne 2, the second French television channel, transmitted a truly fine film on chess, Moeurs en direct: jouer sa vie by Gilles Carle and Camille Coudari, a production of the Office National du Film du Canada and Radio-Canada. A subtle, artistic treatment of the game, this film included much interview material (not all specially shot) involving Karpov, Fischer, Euwe (one sentence), Fine, Timman, Ljubojević, etc. 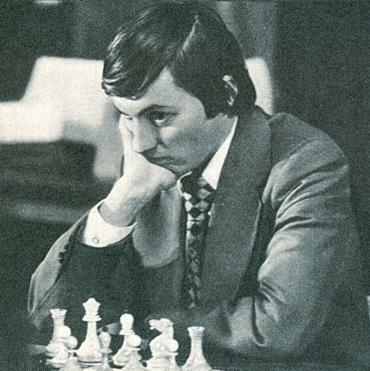 Karpov spoke in a way suggesting that he had been away at a rehearsal camp for the previous three weeks; the Fischer of the late 1960s and early 1970s scowled and snapped suspiciously when trapped by a reporter and – of course – gave little away in his replies, but at least they were an improvization. Reuben Fine has an endearing habit of chuckling in mid-sentence as he contemplates the bons mots he intends to deliver; in the end, however, all one catches is the chuckle. Arrabal’s contribution was quite simply unwatchable. By contrast, the researcher, Camille Coudari, proved himself a natural performer, many of his extemporaneous observations being remarkably acute. The programme was graced with much archive material of the old-timers and, whilst full of imaginative visual effects, did not shirk the technical aspects of the game. Coudari’s exposé of hypermodernism was excellent. Keep an eye open for this film; it is thoroughly enjoyable. Addition on 1 August 2010: Jean-Pierre Rhéaume (Montreal, Canada) comments that Moeurs en direct was merely the name of the French television programme/series and was not part of the title of the film itself (Jouer sa vie). Addition on 11 November 2018: C.N. 11091 pointed out that the film can be viewed on-line under its English title, The Great Chess Movie. Source: page 19 of Chess Scandals: The 1978 World Chess Championship by E.B. Edmondson and M. Tal (Oxford, 1991). 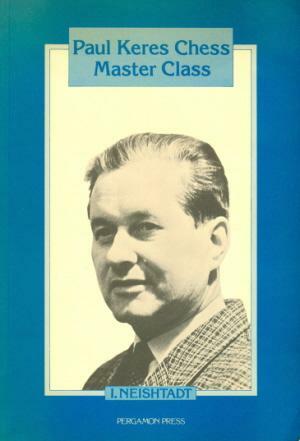 Pergamon Press continue to bring the best of contemporary Soviet literature to the English-speaking chess community with an absolute gem of a book, Paul Keres Chess Master Class by I. Neishtadt. All aspects of attack, defence, counter-attack – in short, the very meat of the game – are dealt with in eloquent detail, everything being based on examples from Keres’ actual play. Since the great Estonian possessed a style of play virtually unsurpassed in its fiery elegance, there could hardly be a better choice of model for the aspiring student. To gain maximum benefit the reader will have to work hard with this book (Neishtadt understands Keres’ play inside out), but it is certain that no budding enthusiast could fail to be inspired by both the games and the notes. A truly excellent book. The English version (by Kenneth P. Neat, of course) runs most smoothly. Not to be missed. Much as one might dislike criticizing any book which hands over part of its royalties to such causes as ‘Friends of Women in Chess’, it has to be said that British Chess, edited by G.S. Botterill, D.N.L. Levy, J.M. Rice and M.J. Richardson, is an absolute dud in spades. Both in conception and execution it has gone completely awry. Plush and well bound, it is less good on the inside, where a large number of writers, many with nothing to say, ramble on in isolation from each other. There is much generosity towards lesser-known figures, F. Boyd, for example, being granted five pages. He opens up, ‘I think it was while working for B.H. Wood at Sutton Coldfield ...’ B.H. who? There is no entry for any such person – OBE or no OBE. But the things we learn about those lucky ones who are included. Robert Bellin plays the guitar and likes the paranormal. Rowena Bruce has three grandchildren exclamation mark. Fairhurst’s Olympiad adversaries included those well-known throat infections Matoczy and Mikemas. David Levy notes what a good month March is for chess births: Fischer, Larsen and Levy. (Although only he was born the same day as Einstein ...) Craig Pritchett achieves a double norm with the most tasteless remark in the book which is also the biggest non sequitur: ‘I always fancied girls, Reuben Fine. So much for latent homosexuality.’ Fellow masochists who look to Jon Speelman to hang, draw and quarter the English language will join our rejoicing over ‘... the Malta Olympiad, with its concomitment FIDE congress ...’ Concomitment should not, of course, be confused with intermittant, which graces the entry on the next page. Incidentally, Colin Sydenham ‘usually travels to work by bus’. Messrs Botterill and Levy exploit their seat on the editorial board to award themselves acres of space (but at least the former writes intelligently). In fact, very few contributors seem to have understood that personal details about their own glorious selves generally make the most vapid reading, and the only entries that succeed are the few that look beyond Number One to wider chess issues, though even these are often mangled by an undiscriminating printer. The blurb mentions that ‘every British Grandmaster or International Master was asked to select ... and to write ...’ etc., neatly concealing the fact that many refused the request. In these cases, third-person accounts were flown in, short and brutal so that the subject would regret not having participated actively in the project. Here only are we in sympathy with Pergamon Press; no doubt many courteous requests for articles were simply ignored, at least until a time when production could not be held up any longer. What is one to think of anyone – big wigs and small fry alike – who cannot be bothered to offer a brief autobiographical piece for charity? In any case, the pre-publication traumas, lack of coordination and general carelessness show up starkly in the finished product. At nearly £15 it is not exactly a bargain, and we only hope that the Friends of Women in Chess are not expecting to rake in a fortune. An absolute must for every chess lover’s miss list. We have just been re-reading Emanuel Lasker, The Life of a Chess Master by J. Hannak (London, 1959), ‘translated’ into English by Heinrich Fraenkel, an unreliable work. c) (At Amsterdam, 1889, Lasker ... ) ‘lost the decisive game against the British master Burn.’ Not so. In fact, Lasker never lost to Burn. e) ‘Nor was he to fare any better when, early in 1890, he went to compete in a small Austrian tournament at Graz.’ ‘Late in 1890’ would be more exact since the event took place in September. f) ‘True, he didn’t lose a game.’ Untrue, he did. Not bad for one page. 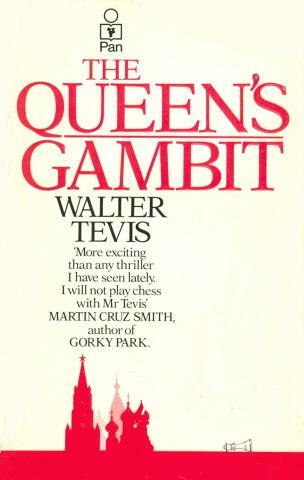 A number of works of fiction have been reviewed in Chess Notes, although The Queen’s Gambit by the late Walter Tevis is perhaps the first that deliberately aims for that category. It traces the elevation of Beth Harmon, a prodigy in chess, drink and drugs, to the loftiest heights of the first-named vice. The plot is implausible, the language unmemorable. ‘National Master Bruce Pandolfini’ is credited by the author for ‘proofreading the text and helping me rid it of errors concerning the game he plays so enviably well’, but so much of the text rings false that either B.P. did not read the manuscript or else he knows unenviably little about the game he nationally masters. On page 19 (of the paperback edition) it is claimed that the Sicilian is a defence to 1 P-Q4. Page 66: Morphy’s unnamed opponent would hardly be called ‘grandmaster’. Page 87: ‘She gave a non-threatening check to his king, and he pulled away delicately and began advancing pawns. She stopped that handily with a pin and then feinted on the queenside with a rook.’ Pages 104-105: a game begins 1 e4 c6 2 d4 d5 3 Nc3 dxe4 4 Nxe4 Nf6 5 Nf3. 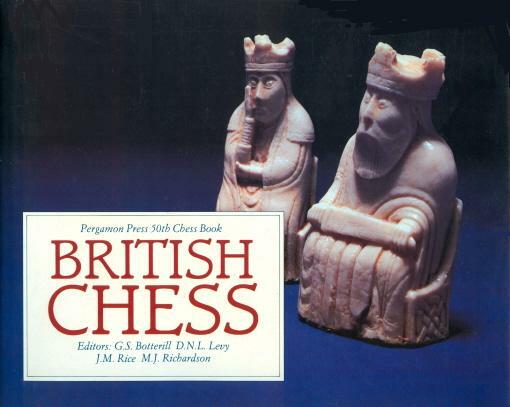 Page 146: ‘It started out as a routine Queen’s Gambit Accepted; he took the offered bishop pawn, and they both developed toward the centre.’ Page 154: the references to chess moves are most bizarre. Page 163: a mention of ‘Fornaut’ as the author of Alexander’s book on Alekhine. Page 238: references to Shakhmatni v USSR, Echecs Europe and, anachronistically, American Chess Bulletin. Page 283: an improbable suggestion of ‘Mate in 19’. The weaving in of ‘real names’ makes it difficult to know whether Boloslavsky (page 107) is the same person as Boleslavski (pages 207 and 256). The author, who has a side-line obsession with his heroine’s stomach, tends to show insufficient ingenuity in his artificially stylized accounts of chess tournaments (e.g. lack of draws and, in the interests of suspense, having Beth meet all her strongest opponents in the final round). A good beginners’ work is The Batsford Book of Chess by Bob Wade, a revised edition of Playing Chess, that neatly produced if floppy paperback of a decade ago. Whereas Levy and O’Connell would appear to have written Instant Chess in a weekend, Wade’s book represents the culmination – and the accumulation – of a lifetime’s teaching experience. Reliable as Wade is on all technical aspects of chess, there is a most unhappy slovenliness on other matters of detail. A remark on page 20 about the possibility of publishers having to speed up the ‘inevitable change’ from descriptive to algebraic notation hardly strikes the reader as a 1984-type observation. One’s worst fears are confirmed on page 133 when the author fails to record Euwe’s death, which has occurred in between the two editions. There is no justification for the statement on page 70 that Edward Lasker (in 1912) was an American. He had never even visited the New World at that time. Little care has been taken over name spellings towards the end of the book: ‘Kieseritsky’ (pages 111 and 112), ‘MacDonnell’ (pages 121 and 122), ‘Federation International des Echecs’ (page 155), ‘Jaque’ (page 158), ‘Bleyavsky’ (page 159), ‘Nenarakov’ (page 160), and ‘Nimozowitsch’ (page 160). Even the back cover misspells the name Hartston and the title of Golombek’s Encyclopedia. Other rough edges include a reference on page 102 to a bibliography on page 158 which does not exist, the incorrect implication on page 122 that the ‘Immortal Game’ was played in the London, 1851 ‘even’ [sic], and the inclusion on pages 147-152 of the discredited Adams-Torre game. Such defects could so easily have been avoided. They tarnish an otherwise well-written book. A later (1991) edition was equally lax. See Kingpin, Autumn 1993, page 37. It cannot be often that an annotator misunderstands the result of a game. In The Chess Career of Richard Teichmann Jack Spence (Nottingham, undated) gives the game Capablanca v Teichmann mentioned in C.N. 617. The slip of printing 23 P-B4 instead of 23 P-B3 (both moves are possible in the position) is nothing compared to J.S.’s astonishing claim that the game was drawn, in a bishops of opposite colour ending when the Cuban was a pawn up. How did this mistake arise when the correct score may be found in dozens of different books? A Pergamon book, Play the Bogo-Indian, has a brief ‘Historical Introduction’ that confirms our increasing doubts about the writing skills of S. Taulbut. Bogoljubow himself is represented by one single (atypical) game, against Grunfeld (no umlaut, of course) at Marienbad, 1925. The game must be ranked as one of B.’s most remarkable achievements, given that he did not even play in that tournament. But, then, Marienbad, Breslau, what is the difference? For good measure, a note at move 21 is misplaced. The next game is played at ‘International, Prague, 1937’, followed a little later by one at ‘Los Palmas’. 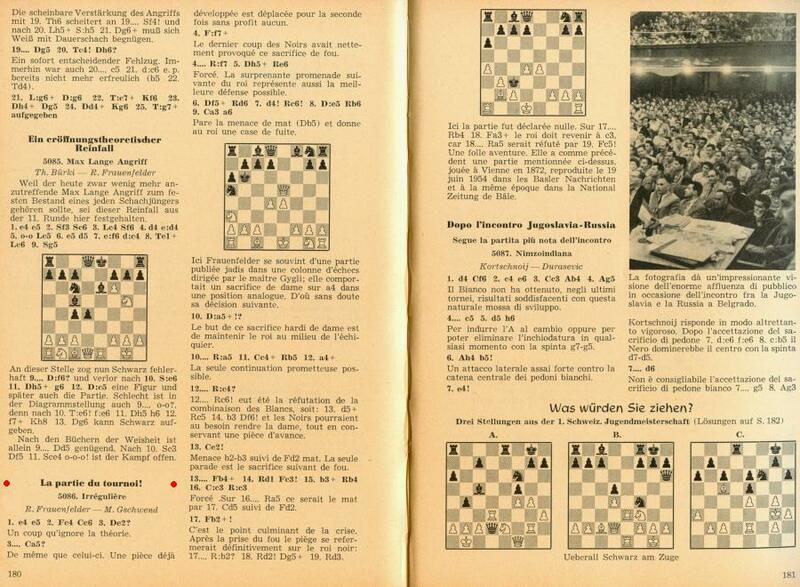 Warmly recommended too is the Korchnoi-Andersson game on page 44, played at ‘Wiju Aram Zee’. With a major musical and a prestige film about chess, the game is doing well for general publicity. La Diagonale du Fou (Dangerous Moves) concerns a world championship match between an ageing Petrosian/Karpov figure and a dynamic dissident apparently based on Korchnoi/Fischer. Although without a fraction of the wit, charm and depth of the musical ‘CHESS’, it is enjoyable and gripping enough for an outsider’s view. The fine photography shows that Geneva is as photogenic as ever, but the film also illustrates how difficult it is to ensure realism when presenting chess to a wide public. The moves are played at such speed that one might think it a match for the world blitz title, while the idea of the world’s top two players informing each other when a move gives check is also difficult to accept. There is ample opportunity to get to know the audience, which appears glued to the same seats throughout the match. The challenger has a bizarre second who, though capable of instantly spotting a mate in seven, does not know the name of the opening that begins 1 e4 e5 2 Nf3 Nc6 3 c3. Perhaps he was preoccupied with writing an illicit book on the match. Here a mention must be squeezed in for a post-elementary book of a few years ago. 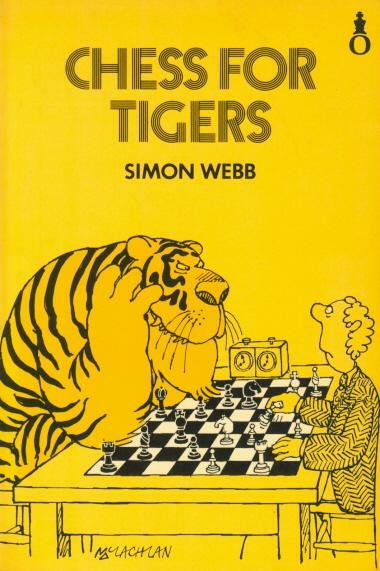 Though short (99 pages) it is exceptional in its provision of common-sense practical advice, while the illustrations (by Edward McLachlan) must be amongst the most amusing ever seen in a chess volume: Chess for Tigers by Simon Webb (Oxford University Press). After quoting a tribute by Kasparov to Fischer, Evans comments in the March 1986 Chess Life that ‘this generous spirit was alien to Karpov’. Incredible. 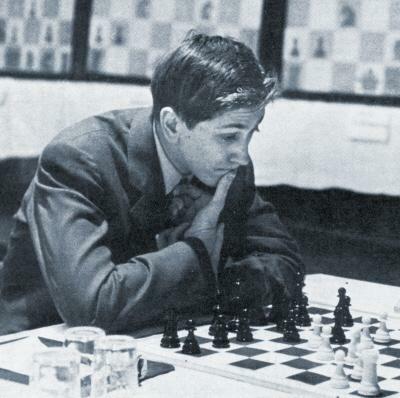 Karpov too has praised Fischer’s role in popularizing chess (e.g. in Chess Life, March 1983, page 11) and even observed in My Best Games, page 10, that ‘Fischer has been underestimated for a long time, in my opinion’. ‘To set the record straight, some readers wondered how I could criticize both Fischer’s silly title conditions (10 wins, but the champion keeps his title in case of a 9-9 tie) and Karpov’s refusal to accept those demands (see CL, March 1986, page 30). What I actually wrote about Karpov was that “he will go down in history as the man who avoided a match with Bobby Fischer and then eluded him for the next ten years”. Whether GM Karpov was right or wrong, I believe that posterity will remember him mainly for ducking Fischer – just as we remember Howard Staunton for ducking Morphy. Not once after assuming the crown did Karpov make a conciliatory gesture to lure Fischer back to chess. And, perhaps, such will be Karpov’s epitaph. Mr Evans, we fear, is tying himself up in knots. He believes Karpov was right not to accept Fischer’s 1975 conditions but also that Karpov will be remembered for avoiding that match. And although in 1975 Mr Evans was saying that Fischer’s ‘stubbornness is what killed the match’, and although on that very page 44 of the August 1986 Chess Life he states with reference to Fischer, ‘you cannot force someone to do something against his will’, he nonetheless criticizes Karpov for failing to make a conciliatory gesture. And because (according to Mr Evans) Karpov failed to make a conciliatory gesture, that proves that Karpov ducked Fischer. Between 1866 and 1884 (though beyond that date too) Steinitz was generally considered to be the strongest active player in the world. During that period did he make any attempt to entice the retired Morphy back into chess? We must hope to goodness that he did, or else Larry Evans will next be on the warpath against Steinitz, the man who ducked Morphy. On page 348 of the June 1979 Chess Life & Review Evans wrote: ‘Up to now Bobby has been ducking Anatoly, not the other way around.’ In Chess Life, July 1991 (page 444) he tried to reconcile his various statements by claiming that Fischer and Karpov had ducked each other. See also The Facts about Larry Evans. Chess Openings – Your Choice! by Stewart Reuben (Oxford, 1985) is one of the most peculiarly written books we have seen, no mean accolade. On the whole it merits a welcome for the practical assistance it offers the relatively weak player, and it is undoubtedly a work into which the author has put much. Nonetheless, we would be hard put to quote any other title which has so much wisdom and fatuity side by side. Just as one is admiring his presentation, S.R. suddenly goes berserk for a sentence or paragraph before the book resumes its normal respectable course. C.N. 1160 illustrated how Mr Stewart Reuben’s judgements are often erratic. Further proof of this is provided by his new series of ‘Viewpoint’ articles in the BCM. The June 1988 issue has an especially memorable example (elegantly entitled ‘Who Dun It?’). Eyewash, because the BCM editor would in any case have to assume responsibility for a contributor’s libel, but at least the illogicality of this jaunty introduction serves to distract attention from the ‘ones’ and, for that matter, from the equally erudite ‘each others’ which graces the following paragraph. 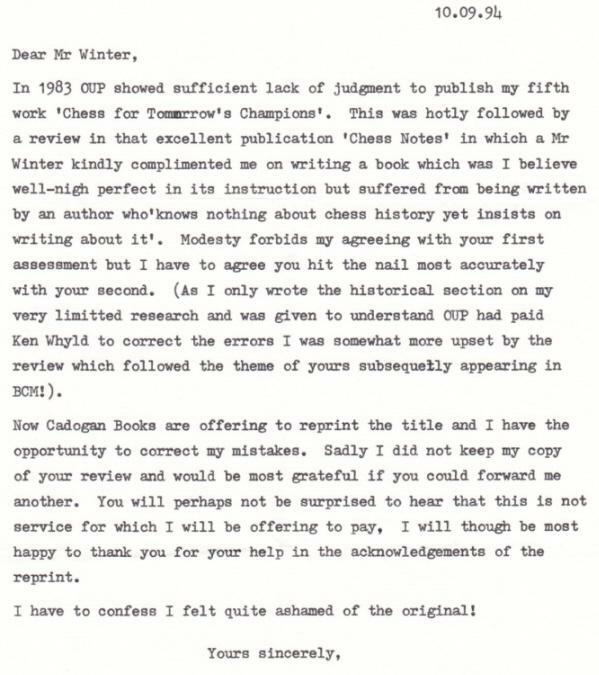 The BCM’s star stylist informs us, with regard to his book Chess Openings – Your Choice!, that ‘... it took George Botterill to point out a glaring fault in an innovation I recommend. That was in his review of the book in the New Statesman. Now, that is what I call a review in depth!’ Now, that is what we call useful information: no identification of the blunder to enable readers to write a pencil correction in their copies. More evidence of a Stewart Reuben in peak form: ‘Kasparov and Keene came in for a great deal of stick because Batsford Chess Openings contained no references to their own analysis. It seemed obvious to Ray that, where a variation was unattributed, it came from one of the two co-authors. But nothing will now persuade some authorities that these Ks had anything to do with the book.’ It is possible that even Mr Reuben, on a good day, would admit that nobody in the world has ever claimed that ‘these Ks’ had nothing to do with Batsford Chess Openings. Mr Reuben’s approach is contagious and irresistible, and we confess to having caught the bug. So here goes. Well, it is said in some circles that a certain British chess periodical, formerly a respected journal of record, has recently given a monthly column to a foolish and ill-informed writer. Some people, including three active players with a rating of over 2430 and one who has just achieved his second GM norm, are even claiming that the only reason he was given the job was that he holds a post in the national ruling body which owns the magazine. It is now openly rumoured that his engagement is just one more in a grave series of misjudgements by editor X of magazine Y. Source: The Kings of Chess by William Hartston (London, 1985), page 11. As mentioned on page 377 of Kings, Commoners and Knaves, the description was included, at our suggestion, on page 165 of The Penguin Dictionary of Twentieth Century Quotations by J.M. and M.J. Cohen (London, 1993). John Graham’s Women in Chess (Jefferson, 1987), though not as bad as his earlier book The Literature of Chess, is still very weak – a cuttings-library job replete with factual misconceptions and wishful thinking. In his Foreword Koltanowski writes meaninglessly: ‘If more attention was given to promoting chess among women, I would not be surprised if before long we have a woman as world champion.’ On the following page Graham claims that ‘the number of women players is still small to be sure, but those at the top are giving male players a good run for their money’. On page x he remarks that ‘nowhere can you find a book in English on Gaprindashvili’s or Chiburdanidze’s career or games’, without adding that the same may be said of dozens of other players with similar ratings. Yet Graham can also be patronizing; one might even say sexist. He gives photographs and then fully describes what he sees in them. For instance, Rudenko (aged 78) is ‘a large woman, clad in black with a white woven shawl about her shoulders. She has straight white hair neatly cut about her strong and unlined face. She looks calm and serene. She looks like she could be anyone’s grandmother ...’ (page 21). In any case, to be ungallant, the word ‘unlined’ is inappropriate. We are grateful to the Liverpool Record Office and the Central Library Manchester for information about Thomas Henry Hopwood. Between 1852 and 1902 Manchester area directories list him under a number of addresses and a variety of professions (hosier and smallware dealer; secretary to the Patent Atmospheric Marine Salvage Co. (Ltd.); accountant, auditor and shorthand writer; hosier etc. ; accountant and patentee; accountant). The Liverpool Directory of 1865 has no reference to him at 42 Brunswick Road, but the 1868 edition lists Thomas H. Hopwood, salvage agent, of Marsh & Hopwood, 38 Meville Place. The address for Marsh & Hopwood, National Marine Salvage Co. is given as 42 Duke Street. It can thus be seen that Hopwood (common links: marine salvage and inventions) did indeed have Liverpool and Manchester connections. We are able to reveal when he died. In the 1890s he wrote a number of letters to the BCM from 29 Percival Street, Cheetham, Manchester. The same address appeared in an advertisement for ‘The “Toz” Chess Diagram and Game Recorder Combined’ in the 1893 book Liverpool Chess Club – A Short Sketch ... 1837-1893. The Probate Indexes have the following entry in 1902: Hopwood, Thomas Henry, of 29 Percival Street, Cheetham, Manchester, accountant, died 29 April 1902. Probate Manchester 7 June, to Ellen Maria Hibbitt (wife of Frederick Hibbitt). Effects £105. 10s. 2d. Hopwood and his magazine had been discussed in C.N.s 1188 and 1239. We heard no more from Mr Tisdall. Bruce Pandolfini has written yet another new book for the Fireside Chess Library: Russian Chess (subtitle: ‘Learn from the New Champions’). It contains only six games, all won by Soviet players in the 1980s, but the annotations, aimed at inexperienced players, are detailed. The first game, for instance, takes 30 pages. Prose explanations are preferred to variations, and there is a good selection of general principles (‘concepts’). A more eccentric and misleading practice is the provision of quotes by Russian/Soviet writers (even Chigorin and Alekhine), fitted in to suit the games under discussion. That old American verbosity is sometimes on show. ‘Black is less declarative in playing 1...Nf6’ (page 18). ‘4...b5 contributes nothing developmentally meaningful’ (page 23). ‘For the odoriferous pawn Black would lose a piece’ (page 120). Two matters of historical detail regarding Russian Chess: page 49 unjustifiably calls Staunton ‘the self-proclaimed British World Champion of the 1850s’. Secondly, page 142 mentions ‘the Cambridge Springs Variation of the Queen’s Gambit’ as being 1 d4 d5 2 c4 e6 3 Nc3 Nf6 4 Bg5 Nbd7 5 cxd5 exd5 6 Nxd5 Nxd5 7 Bxd8 Bb4+, etc. The book acknowledges the help of ‘America’s preeminent chess historian, master Bruce Alberston, for his prodigious research, analysis, and technical virtuosity’. Pardon? In Plan Like a Grandmaster (Batsford, translated from the Russian by Ken Neat) Alexei Suetin does a poor impersonation of Kotov, the author of the fine ...Like a Grandmaster series. Plan... has 354 scores (full or part), starting with the Famous Game Morphy versus the Opera allies (the date of which is five years out) and ending with the Famous Game Alekhine v Botvinnik, Nottingham 1936. Most of the 352 others are also Famous Games, the same old Famous Games that are constantly recycled in other dreary books. The chief aim of Suetin’s work is to illustrate ‘the most vital point of a chess game’, which is ‘the transition between opening and middlegame’, but there is little detailed annotation and the general prose passages are rather soporific à la Pachman(n). That complex masterpiece Alekhine v Böök, Margate, 1938 has just two brief notes. Since the blurb says that the 354 games or extracts ‘illustrate how top masters handle the opening’ one would at least expect an index of openings. In short, the book (from the author’s point of view) has to be considered a characteristic example of the modern Easy Way Out school. No. We had retired by then. Page 26 (and passim): ‘Rubenstein’. Page 124: Euwe ‘world champion in 1948’. Page 125: Botvinnik ‘world champion in 1950’. It is like that from start to finish. ‘Emmanuel (and Emmanual) Lasker’, ‘Herman Helms’, ‘Paul Benko’, ‘Giovannie Leonardo’, ‘Paulson ’, ‘Compomanes’, ‘Taimonov’, ‘Olgan Menchik’, ‘Scheveninger system’, ‘en pris’, ‘William Tevis’, ‘The London Illustrated News’, ‘LaPalemede’, etc., etc., etc. ‘America’s leading chess writer’ is the description of Bruce Pandolfini on the front cover of Chess Openings: Traps and Zaps (a Fireside Chess Library paperback from Simon & Schuster). After reading the back-cover description ‘the first completely instructional book ever written on chess openings’, one marvels at how the modern game kept going for five centuries until Mr Pandolfini was ready to do a Fireside paperback. But in reality, of course, there have been dozens of books like Chess Openings: Traps and Zaps, all undistinguished and undistinguishable. True enough, Mr Pandolfini does break new ground by revealing on page 36 that Rudolf Spielmann lived to be 109 and by providing such pioneering gems as (page 43) ‘you could win in this position by 10 Bf4! or you could win equally impressively with 10 Bf4!’ The bad diagram trouble starts on page 3. The prose is casual in the extreme (‘Does it matter if you’re up material but badly developed ...?’ – page 81), and the Glossary, despite some good definitions, has the occasional impenetrable explanation such as: ‘Base of Pawn Chain: the pawn closest to its own back rank, when two or more pawns for each side block and immobilize their enemy counterparts, for either side.’ The bibliography records its debt to such predecessors (evidently not ‘completely instructional’) as Flórian’s ‘The Schlilemann Variation of the Ruy Lopes’. Concerning our remark about Spielmann, see too C.N. 4857. Harry Golombek’s book Capabanca’s Hundred Best Games of Chess has highly inaccurate biographical material and results tables. Some examples were given in C.N. 1080, but the BCM took no notice when it reprinted the book in 1989. It gave just a cursory errata slip (which was itself wrong about a ‘missing’ tournament (Hastings, 1929-30), since it claimed that Capablanca scored three draws, instead of five). On 22 November 1989, quoting a large number of examples, we informed the BCM Editor that many obvious factual errors had not been corrected. Our letter was ignored for three years, until the BCM (October 1992, page 520) found an exquisitely deceitful way of using it to ridicule us: out of all our corrections the magazine simply mentioned one (regarding Hastings, 1929-30), thus deluding its readers into believing that our complaint about the book merely concerned a single matter of detail. To set the record straight (about this and other issues), on 5 October 1992 we wrote another letter to the BCM Editor. Naturally it too was suppressed. See also our article on Capablanca’s books in the algebraic notation. This shows that the BCM neglected to correct about 150 factual mistakes. The Editor of the BCM at the time was Mr Bernard Cafferty. 1 e4 e5 2 f4 exf4 3 Nf3 g5 4 Bc4 Bg7 5 d4 d6 6 Qd3 Nc6 7 h4 h6 8 hxg5 hxg5 9 Rxh8 Bxh8 10 e5 Kf8 11 Qh7 Bg7 12 Qh5 Qe7 13 Nxg5 Nxd4 14 Na3 d5 15 Bxd5 Qxe5+ 16 Kf1 Nh6 17 Bd2 Bf5 18 Bb4+ Kg8 19 Bxf7+ Kh8 20 Re1 Qf6 21 Be7 Qb6 22 Nc4 Qa6 23 Kg1 Bg4 24 Qh2 Nf5 25 Qxf4 Nxe7 26 Rxe7 Qf6 27 Ne5 Rf8 28 g3 Bf5 29 b4 Bxc2 30 Re6 Qd8 31 Ne4 Qd4+ 32 Kf1 Bd3+ 33 Nxd3 Qxd3+ 34 Kg2 Nxf7 35 Qh4+ Kg8 36 Rg6 Ne5 37 Rxg7+ Kxg7 38 Qe7+ Rf7 39 Qxe5+ Kf8 40 Qh8+ Ke7 41 Qe5+ Kd8 42 Qh8+ Ke7 Drawn. The introduction stated that the game was played ‘earlier this year’, and we duly gave the date 1911, as did John Hilbert in his monograph on Whitaker (see pages 37, 324 and 350). Times-Democrat, 19 September 1909, page 9. Both newspapers gave one further move, 43 Qe5+. Why do so many biographical monographs contain elementary blunders and attach little attention to basic presentation? For example, Paul Morphy, partidas completas (Madrid, 1993), a pitiful ‘bilingual’ Spanish/English book by Rogelio Caparrós, is rife with factual mistakes, typographical errors and faulty language. Magic Morphy by Chély Abravanel and Philippe Clère (1994) twice claims that its subject died in 1886, instead of 1884. Aljechin, der Grösste! 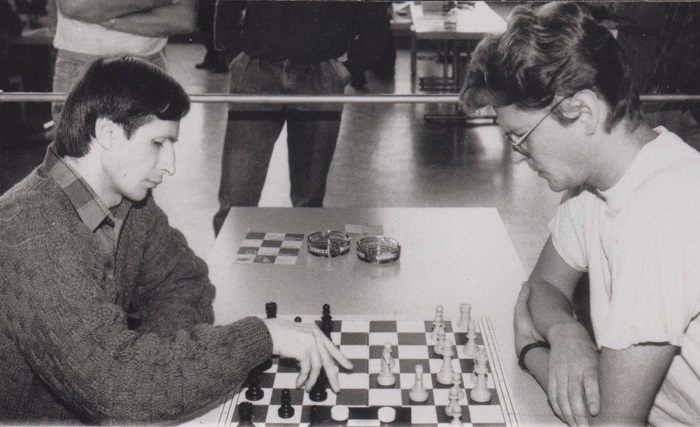 by Egon Varnusz and Arpád Földeák (Velten and Düsseldorf, 1994) goes wrong on the master’s birth date and, even, on the moves and dates of a number of his most famous games. On page 141 of Pour Philidor (Koblenz, 1994) C.M. Carroll claims that ‘during the first half of the twentieth century, Philidor was not a well-known figure in history. As far as I can determine, the 200th anniversary of his birth in 1926 went by totally unnoticed ...’ To give just one straightforward refutation of that, the October 1926 BCM had a two-page article on Philidor by John Keeble whose first sentence referred to the bicentennial. 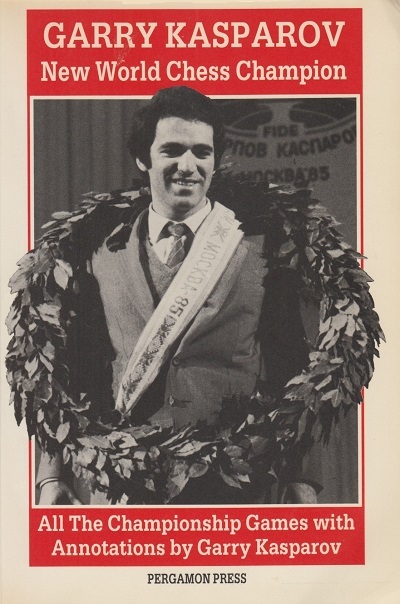 Title of an article about John Litvinchuk on pages 15-17 of the March 1980 Chess Life: ‘America’s Most Promising Junior Ever?’. In 1997 Rick Melton of Arizona brought out two spiral-bound volumes entitled The Complete Book of Chess Tournament Crosstables, covering 1851-1948 and 1949-1967. The ‘Complete’ was accentuated in the title but is complete nonsense. 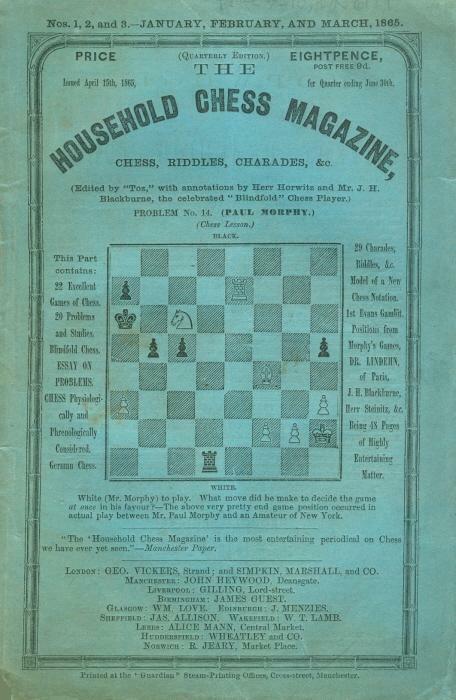 From the period 1851 to 1870 Mr Melton presented seven tournaments, whereas the corresponding figure for the first volume of Jeremy Gaige’s Chess Tournament Crosstables, published in 1969, was 30. ‘One of the greatest masters in the world’ is the description of Fred Reinfeld in the entry for his book Scacchi per ragazzi on page 16 of Lineamenti di una bibliografia italiana degli scacchi by A. Sanvito (Rome, 1997). Our thanks to Alessandro Nizzola (Mantova, Italy) for drawing our attention to this considerable exaggeration. Yet those affirmations are like the gospel truth compared to the self-glorification in which Cardoza Publishing has recently allowed its chess writers to indulge – dregs pretending to be cream. Tentative nomination for the chess book with the most misspellings of players’ names: Traité du jeu des échecs by Jean Taubenhaus (Paris, 1910). For example, pages 222-223 alone refer to de Rivièr, Andersen, Teichman, Maison, Tarrasche, Mises, Zuckertort, Levis, Marocy, Veiss, Jaowski, Vinaver, Lepchitz, Soldatenkor, Benstock, Forgace, Snosko-Borouski, Holperin, Salve, Zukerlort, Blackburn, Marschal, Nuzio, Cochran, Kieseritzki and Chotard. The proofreader is apparently still alive and working on books by Dimitrije Bjelica. In fact, Capablanca’s total should read 108, since there were only 19 match games. Page 94 of Deutsches Wochenschach, 25 April 1920 reported that since his arrival in Berlin at the beginning of the previous year A.S. Selesniev had played some 50 master games (against, among others, Bogoljubow, Réti and Spielmann) without defeat. 1 c4 g6 2 e4 Bg7 3 d4 d6 4 Nc3 Nf6 5 Nge2 Nbd7 6 Ng3 c6 7 Be2 a6 8 Be3 h5 9 f3 b5 10 c5 dxc5 11 dxc5 Qc7 12 O-O h4 13 Nh1 Nh5 14 Qd2 e5 15 Nf2 Nf8 16 a4 b4 17 Nd5 cxd5 18 exd5 f5 19 d6 Qc6 20 Bb5 axb5 21 axb5 Qxb5 22 Rxa8 Qc6 23 Rfa1 f4 24 R1a7 Nd7 25 Rxc8+ Qxc8 26 Qd5 fxe3 27 Qe6+ Kf8 28 Rxd7 exf2+ 29 Kf1 Qe8 30 Rf7+ Qxf7 31 Qc8+ Qe8 32 d7 Kf7 33 dxe8(Q)+ Rxe8 34 Qb7+ Re7 35 c6 e4 36 c7 e3 37 Qd5+ Kf6 38 Qd6+ Kf7 39 Qd5+ Kf6 40 Qd6+ Kf7 41 Qxe7+ Kxe7 42 c8(Q) Bh6 43 Qc5 Ke8 44 Qb5+ Kd8 45 Qb6+ Kd7 46 Qxg6 e2+ 47 Kxf2 Be3+ 48 Ke1 Resigns. 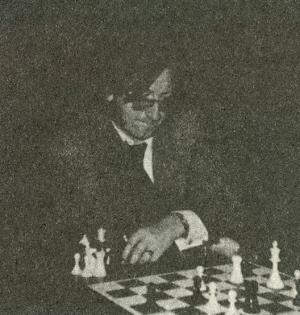 A photograph caption on page 160 of Historia del ajedrez by Gabriel Mario Gómez identifies Botvinnik as Alekhine. On the next page is a portrait of ‘Erik Elis Kases’. Numerous other names are deformed, a double example being the caption ‘Alhekine-Bogojukov’ on page 133. On successive pages thereafter, the text relates that a) there were only ten games in the 1921 world title match, b) Fine was a participant in the 1948 world championship event, half of which took place in Havana, and c) Fischer was born in New York. 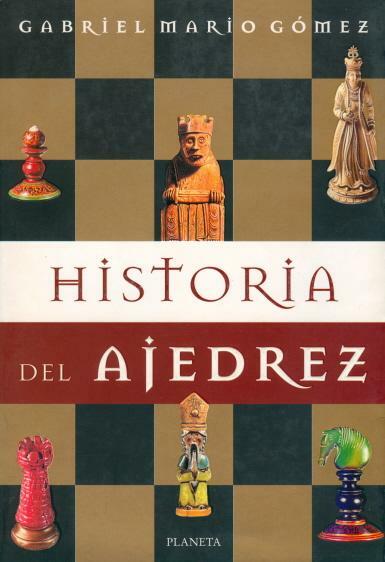 For the record, Historia del ajedrez (182 pages) was published by Planeta, Buenos Aires in 1998. The ability to read Spanish is a disadvantage. Regarding the above-mentioned misidentification of Botvinnik as Alekhine, see C.N. 8969. Page 139 of The Personality of Chess by I.A. Horowitz and P.L. Rothenberg (New York, 1963) described Fischer as ‘a native of New York City’. See also C.N.s 7236 and 7531. ‘Botvinnik-Capablanca, Amsterdam 1938’ is the game heading in Jewish Chess Masters on Stamps by F. Berkovich (Jefferson, 2000), page 108, i.e. in the section written by N. Divinsky. It is an elementary mistake, commonly seen. Botvinnik’s famous brilliancy was played (on 22 November 1938) in Rotterdam, as is recorded by many contemporary sources (e.g. page 106 of Euwe’s book on the tournament). The bibliography of the Berkovich book (page 132) contains some improbable references, such as items purportedly written by L. Shamkovich and D. Spanier in 1935 and 1934 respectively. Regarding the Botvinnik v Capablanca game, Amsterdam was given as the venue by Raymond Keene on page 30 of The Sunday Times Book of Chess (Aylesbeare, 2005). The column in question was dated 23 January 2000. In the half-hour television programme Chess in Pieces (BBC Four, 7 July 2003) an assortment of unprepossessing chessists and actressy artists waffled on inconsequentially within an over-blown, under-researched narrative. ‘Lenin declared that chess was the gymnasium of the mind’, intoned the voice-over, although that well-known phrase dates back to 1803 (Studies of Chess). The viewing hundreds were also informed that chess ‘began in Persia around 7 AD’ and were left to conclude that the game’s history ceased in 1972, after a Spassky-Fischer match which ‘lasted three months’. The existence of Karpov and Kasparov was left undisclosed. Capablanca and other notables were visible for a few seconds, without the courtesy of identification. There was, however, a caption for the programme’s advisor, Gareth Williams, who was also billed for his big day as ‘a leading author and chess historian’. However, as discussed in C.N.s 857 and 884 (see page 121 of Chess Explorations) the German publication was no more than ‘a little pamphlet’. See also pages 252-253 of Chess Facts and Fables. Page 68 of the Edmonds/Eidinow book attempts to titillate with the hoary falsehood that Morphy ‘was found dead in a bathtub, surrounded by women’s shoes’. As noted in C.N. 2913 (see page 231 of Chess Facts and Fables), Alexander Cockburn wrote on page 16 of Idle Passion that Morphy died ‘according to some accounts, in his bath, surrounded by women’s shoes’. The Fischer book has even unobtrusively dispensed with the wishy-washy, story-spoiling ‘according to some accounts’. Why? 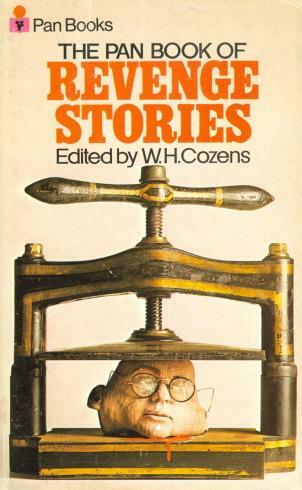 Again because writers like Reuben Fine and Alexander Cockburn wrote things like that about Torre, without a scrap of substantiation, and Messrs Edmonds and Eidinow appear qualmless about presenting as fact any second- or third-hand yarn, even if (especially if) it entails a great master of the past being ridiculed or depicted as a freak. 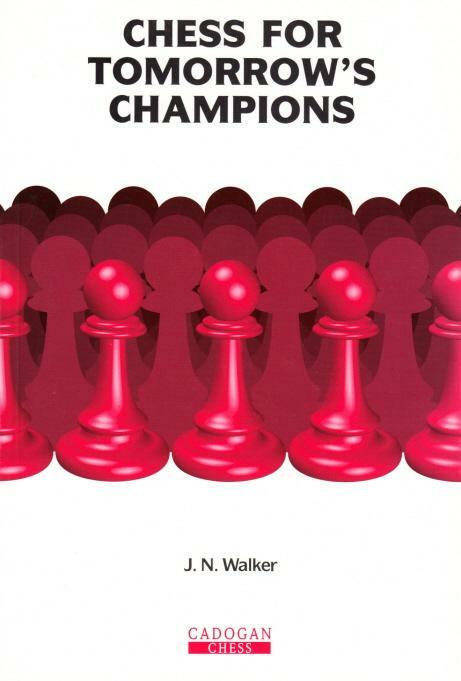 A book by Peter Fuller entitled The Champions and subtitled ‘The secret motives in games and sports’ (Urizen Books, New York, 1977) discusses figures from the worlds of chess, bullfighting, boxing and motor-racing. The chess chapter (pages 49-104) has plenty of trivia and tripe about the masters of yesteryear (the first paragraph states, ‘Steinitz claimed to have played God at pawn odds and won’) but is essentially about Fischer, viewed from a psychoanalytical standpoint. ‘Although Fischer played excessively aggressive chess, it remained difficult to demonstrate manhood through a non-physical game, in which the queen is represented as the main ally. ‘For some Russians, as Lenin warned, chess may become an alternative to revolutionary thought: instead of confronting the failure of the revolution in terms of history, players may attempt to achieve individualistic solutions on the chess board, and these become inextricably bound up with their own private conflicts. Chess, and its accompanying strategical and tactical theory, may thus be pursued as a way of working out a better form of regicide, and of evading reality and retreating into a private world at the same time. Hans Maurer (Effretikon, Switzerland) writes regarding a report on page 178 of the 17 May 1914 issue of Deutsches Wochenschach. It refers to a banquet held in honour of the participants in the St Petersburg tournament during which the young Prokofiev gave a piano recital and each of the 11 participants in the tournament received a wine goblet (old Russian style) donated by Carl Fabergé. Our correspondent wonders if anything is known about the fate of these objects. The deception, uncovered by Marc Durand, was written up in a number of magazines at the time, and a feature on pages 192-193 of the May 1984 BCM quoted a sentence from a long letter of apology from J.-M. Morisset: ‘J’espère que vous me pardonnez mon impudence’. The hoaxes concerned various invented games and problems, the most notorious specimen being a 1946 game between the future Pope John Paul II and ‘Wanda Zartobliwy’. It emerged that ‘Zartobliwy’ is the Polish word for ‘facetious’ or ‘jocose’. For further information, readers are referred to page 17 of The Even More Complete Chess Addict by M. Fox and R. James (London, 1993) and, in particular, the article ‘No Chess in the Vatican’ by Tomasz Lissowski on pages 306-310 of the Winter 2000 issue of the Quarterly for Chess History. The latter item is also available on-line at: http://www.astercity.net/~vistula/vatican.htm. The Quarterly published a follow-up piece on pages 366-367 of its Spring 2001 issue. For Hans Ree’s account of the trickery, see pages 76-77 of the 3/2001 New in Chess. Of course, the hoax has become so well known that no competent chess writer would fall for it today. 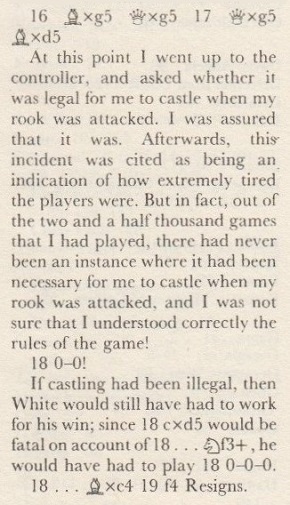 Larry Evans fell for it on page 44 of Chess Life, January 2004. 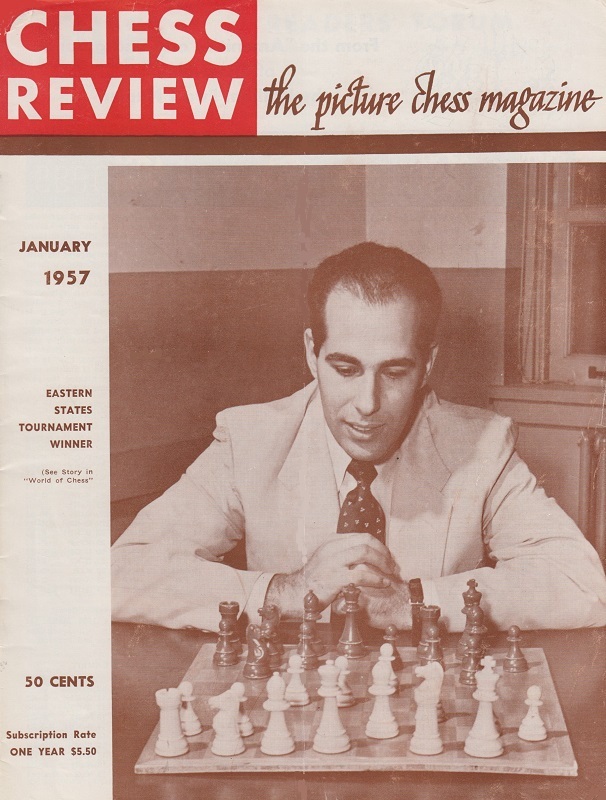 For decades the BCM’s pages featured historical and literary articles by three of the most graceful chess writers in the English language, W.H. Cozens, G.H. Diggle and D.J. Morgan. All have now gone, and it is sad indeed to recall that 2004 marks the 20th anniversary of the death of W.H. Cozens, who was the first subscriber the magazine Chess Notes ever had. A proper introductory book on chess is still awaited from India. 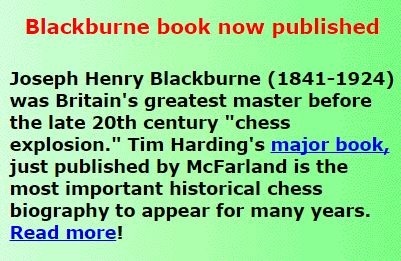 Fulsome praise has been heaped on the new Blackburne book by Tim Harding by Tim Harding. Source: Chess Mail (website of Tim Harding). A knight on the rim is grim. A knight in the corner is forlorner (C.N. 2370). Give the source of a quote if it is known. If it is not known, do not give the quote. 20 May 2018: The above have been incorporated into a new feature article, Chess Thoughts.